Cape Romanzof Air Force Station (1953-Present) - A Cold War U.S. Air Force Station, part of the Alaska AC&W Radar Network. Initially functioned as a Ground Control Intercept (GCI) or Early Warning radar site, with a Permanent System ID of F-06. Later redesignated a surveillance site feeding manual track data to a manual Direction Center. Became a minimally attended radar site in 1985 and was redesignated as Cape Romanzof Long-Range Radar Site with a JSS ID of A-10. Now feeds radar track data to the FAA Anchorage ARTCC (ZAN) and to the Elmendorf NORAD Regional Air Operations Center (RAOC). Active Long-Range Radar Site (LRRS) with an FAA ID of ZCZF. Cape Romanzof Air Force Station Upper Site. 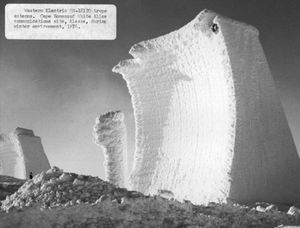 Initial surveys of the site were conducted in 1949 by the US Corps of Engineers and the Alaska Air Command (ACC). Construction began in 1950 and was completed in 1952 by Gaasland & Company for $ $4,322,751. The site was initially manned and run by Det. F-6 of the 531st ACWG. The site became operational in April 1953 as Cape Romanzof Air Force Station manned by the 795th AC&W Squadron which had been activated at the end off 1952 to operate and maintain the site. Initial equipment included the FPS-3 search radar. The radar was upgraded to a FPS-20A search radar. Later the FPS-20A was upgraded to a FPS-93A search radar. Cape Romanzof Original Lower Site Plan (Before the Domes). Aircraft track data from these radars was manually plotted on plotting boards and passed to a Manual Direction Center on voice circuits. In 1965 the FYQ-9 Semiautomatic Data Processing and Display System was implemented on Alaska AC&W radar sites automating the passing of track data to the direction centers. The result was reduced manpower requirements and increased efficiency. Further reductions came on 1 Oct 1977 when the Alaska Air Command (ACC) contracted with RCA Services for site support services. This was a part of an Air Force effort to reduce remote tours. Some 81 military positions were deleted at Cape Romanzof AFS. The remaining 14 military personnel were primarily in operations. JSS common digitizers were installed on the AC&W radars sites, including Cape Romanzof, by 1982. This upgrade enabled transmission of radar track data via satellite to the new Elmendorf JSS Regional Operations Control Center (ROCC) near Anchorage. The Elmendorf ROCC was activated on 14 Jun 1983 and that event triggered a series of events that included the closure of the AC&W sites, the disbandment of the AC&W Squadrons, and the creation of Long-Range Radar Sites (LRRS) with full contractor operation and maintenance and new FPS-117 3D radars. The Cape Romanzof AFS was deactivated on 1 Nov 1983 even before the FPS-117 radars were installed. Cape Romanzof Air Force Station Annotated Vicinity Map. Showing the Radio Transmitter and Receiver Sites as well as the Upper and Lower Sites and the Cargo Beaching Area. Cape Romanzof Long-Range Radar Site (LRRS) Upper Site in 2017. 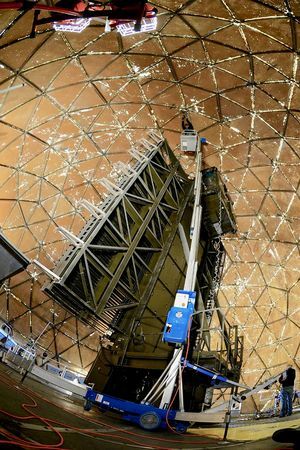 Cape Romanzof LRRS Radome Interior Undergoing Depot Level Maintenance and Showing FPS-117 Antenna, 26 Sep 2017. A new FPS-117 Minimally Attended Radar (MAR) was installed between June-July 1985. The site was operational on 14 Jul 1985 and re-designated as Cape Romanzof Long-Range Radar Site (LRRS) operated and maintained by contractors. The Long-Range radar site was connected to the Elmendorf JSS Regional Operations Control Center (ROCC) which was activated on 14 Jun 1983. The FPS-117 radar fed data to the ROCC FYQ-93 computers via satellite. By 2011 the MAR FPS-117 radars were outdated and increasingly unsupportable because parts and components were no longer available. In 2011 the U.S. Air Force awarded Lockheed Martin $46.8 million in contract options to begin modernization of 29 long-range radars. 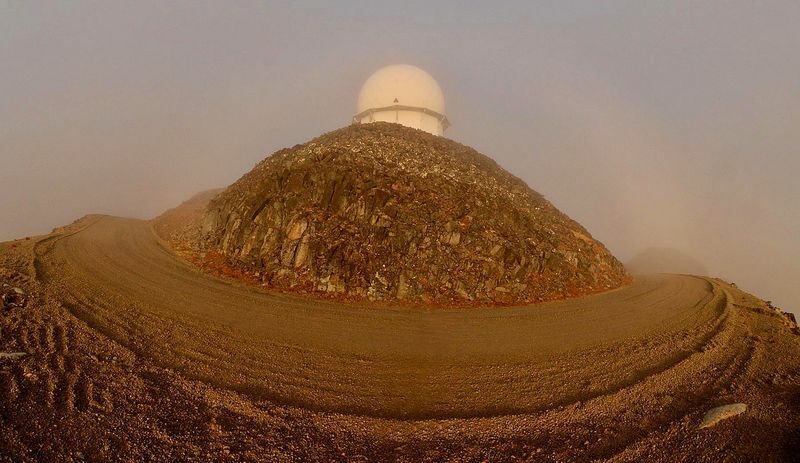 Under the EPRP contract, Lockheed Martin was to modernize 15 radars in Alaska including Cape Romanzof. The last FPS-117 site was upgraded in June 2015. The physical plant of the site was originally divided into an upper main site (2,300 feet), a lower cantonment area (1,500 feet) and an even lower airstrip (300 feet). The upper main site housed the radar towers, operations, crew quarters and the backup generators. 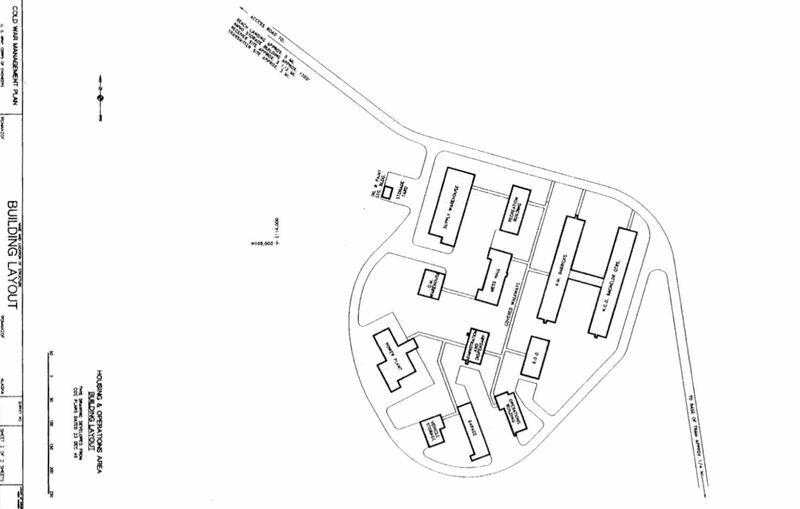 The cantonment area housed the operations area, the enlisted quarters (BAQ), the bachelor officer's quarters (BOQ), the orderly room, the dining hall, and other support areas. A tramway built in 1953 connected the top site and the cantonment area. No family housing was provided as this was considered a remote unaccompanied tour (1 year). Cape Romanzof LRRS Lower Site Residence Dome Interior with Depot Level Maintenance Team in Residence, 28 Sep 2017. A double-geodesic dome composite building was constructed by the U.S. Army Corps of Engineers in 1984-1985 to house remaining contractor personnel and equipment. Located near the center of Cape Romanzof the two-story dome, along with a maintenance dome, has sixteen bedrooms, kitchen, library, lounge and recreation room, fitness room, two laundry rooms, dining/common area, and several offices and storage rooms. All other unnecessary facilities were demolished by 1988, see the list below for the remaining facilities. The tramway is no longer in use. The annual resupply effort was originally known as Mona Lisa, and in 1967 the name was changed to Cool Barge. Separate radio Transmitter and Receiver sites housed the radio equipment for communicating with aircraft. 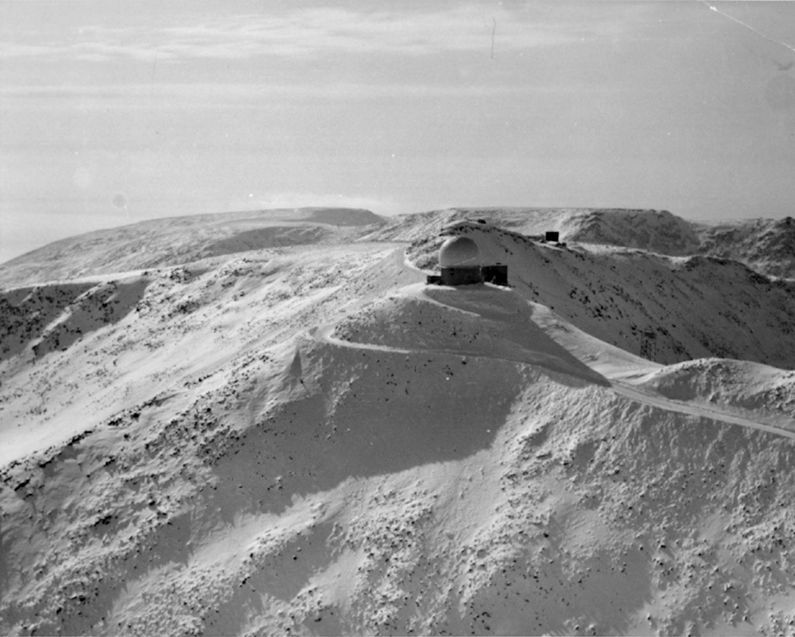 Cape Romanzof White Allice Tropo Antennas on Upper Site, Winter 1976. 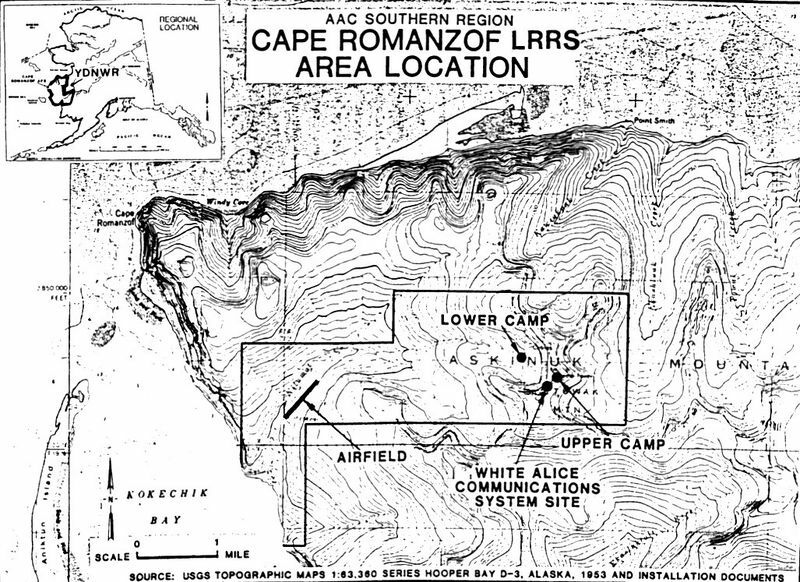 The Cape Romanzof WACS tropo site was activated on 15 Feb 1958. 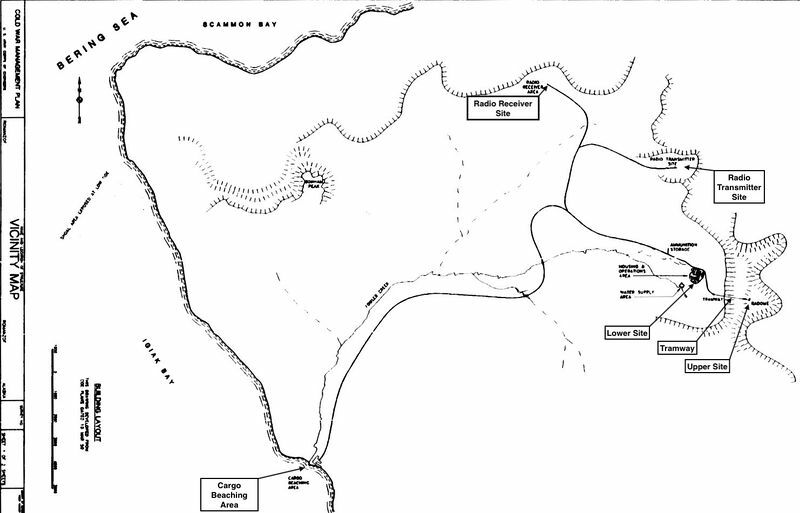 Construction of WACS at Cape Romanzof included a 2-mile access road connecting the base and top camps. 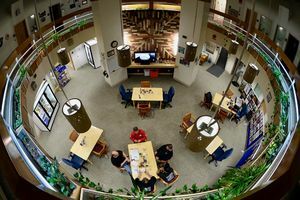 Facilities included a 5,280 square-foot composite building and a 12-person dormitory. The site was considered collocated with the AC&W site and they shared support and other facilities. This site had 2-60’ billboard antennas linked to the Bethel White Alice Communications Site (152 miles). The WACS site was inactivated in May 1979 and replaced by an Alascom-owned satellite earth terminal. Active long-range radar site but most of the old AC&W site buildings have been demolished. The site has also had an environmental remediation project that has further erased signs of the old AC&W site and the White Alice tropo site. The FPS-117 Radar now at the site feeds radar track data to both the FAA Anchorage ARTCC (ZAN) and to the Elmendorf NORAD Regional Air Operations Center (RAOC). This is an active USAF Long-Range Radar Site (LRRS). Cape Romanzof LRRS Location Map. Location: Hooper Bay in Kusilvak Census Area, Alaska. Denfeld, D. Colt Ph.D., The Cold War In Alaska: A Management Plan For Cultural Resources, 1994-1999, U.S. Army Corps of Engineers, August 1994, 327 pages, Pdf, page 124, 152-153, 172-173, 231. History of the Aircraft Control and Warning System in Alaska: Air Defense of Arctic Skies, Argonne National Laboratory, Illinois, 2002 updated 2013, 140 pages, Pdf, page 29, 47-49. This page was last modified 22:20, 27 December 2018 by John Stanton.